Flywheel, our hosting provider, has recently announced that soon it will be switching all sites hosted on its servers to PHP 7.2 and many other hosting providers are following suit. While PHP 7 has been in existence since 2015, the most recent version hasn’t been forcefully implemented through its hosting service. Now, PHP 7.2 will be implemented by the end of February if all goes as planned. So, how will this impact you and your website? Typically, any upgrade comes with a variety of improvements over previous versions. With the PHP 7.2 update, many users may see a boost in performance though several factors contribute to overall site performance. On the backend of the update, there are some new capabilities which will provide increased security. 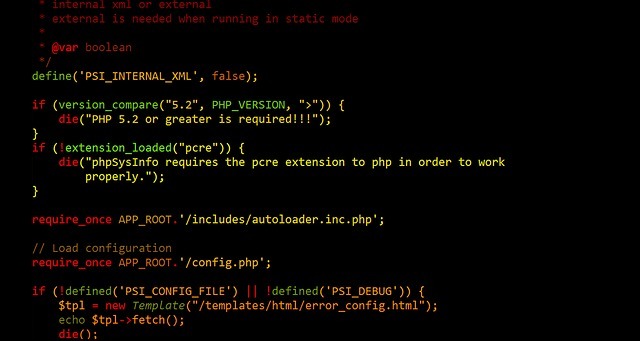 PHP 7.2 aims to eliminate older functions and code in previous versions. This means that any out-of-date plugins or website themes may experience issues during this update. Results Repeat is currently working to mitigate any issues that may pop up with our hosting clients, however, if your site is hosted on Flywheel or another provider but not being managed by us, you may need to address your own updates or work with your web developer to ensure your site doesn’t go down. Outdated themes and plugins could bring down your entire site if they aren’t addressed before this update. Many of the sites that we manage have already been updated to the new PHP version over the past six months with no issues. If your site is managed by Results Repeat, you don’t need to do anything! We’re working behind the scenes to ensure your site is compatible with this update and that it will be seamless. If we don’t manage your site, you’ll want to contact whoever does, or take on the responsibility yourself, to update all your plug-ins and themes in preparation for the PHP upgrade. If there is any issue with this update, and we manage your site, we will reach out to you. And, as always, if you have any questions, we’re here to help!